From the author of the New York Times #1 bestseller The Untethered Soul comes the astonishing true-life story about what happens when you just let go. How could all of this spring from a man who had decided to live alone in the middle of the woods, let go of himself, and embrace a life of solitude? Michael A. Singer, author of The Untethered Soul, tells the extraordinary story of what happened when, after a deep spiritual awakening, he decided to let go of his personal preferences and simply let life call the shots. As Singer takes you on this great experiment and journey into life’s perfection, the events that transpire will both challenge your deepest assumptions about life and inspire you to look at your own life in a radically different way. 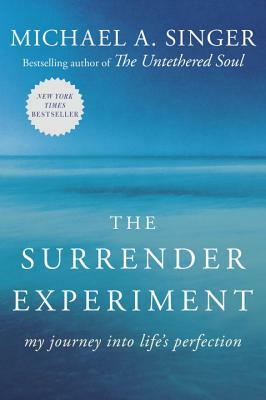 The Surrender Experiment is now a New York Times bestseller! MICHAEL A. SINGER still lives in the woods where his great experiment began and where it continues. He is the author of the New York Times #1 bestseller The Untethered Soul. Visit him at www.untetheredsoul.com.